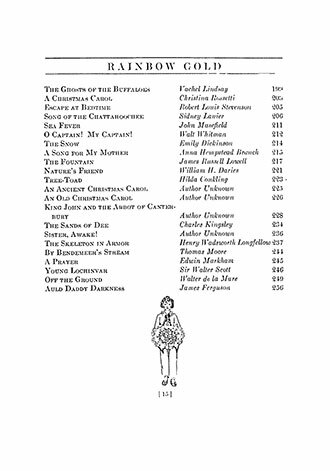 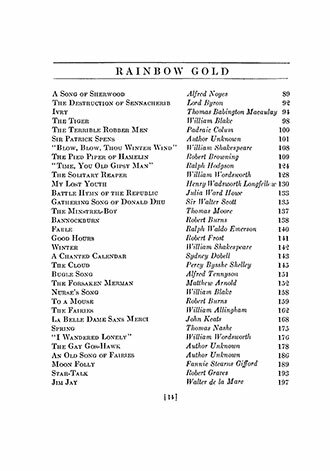 Sara Teasdale’s wonderful collection of children’s poetry, Rainbow Gold – Poems Old and New, was originally published in 1922. 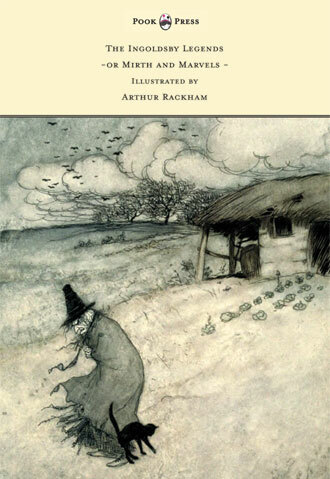 Exquisitely illustrated by the accomplished children’s illustrator Dugald Stewart Walker, this charming volume is ideal for introducing children to poetry and is not to be missed by collectors. 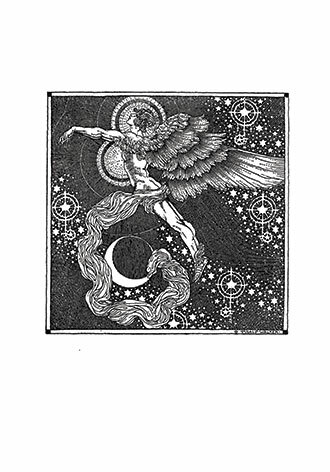 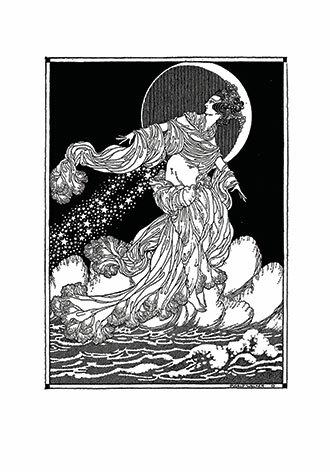 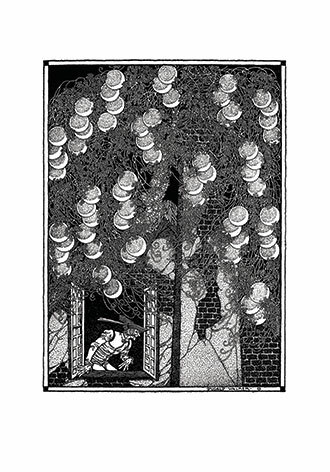 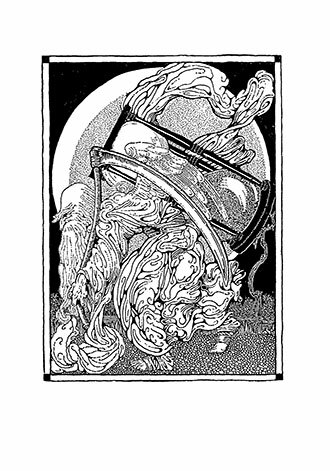 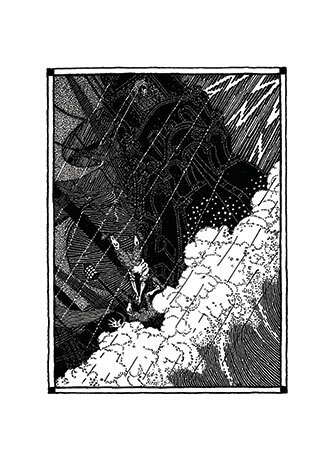 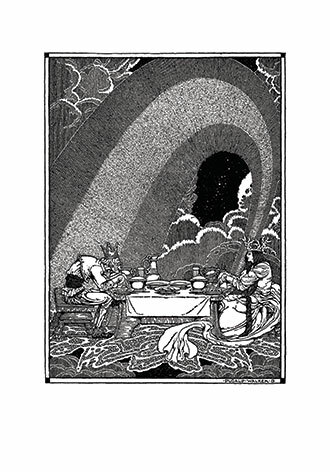 Dugald Stewart Walker was one of the most highly-celebrated American illustrators of children’s books during the early twentieth century and are best remembered for the lavish, magical realm that they frequently described. 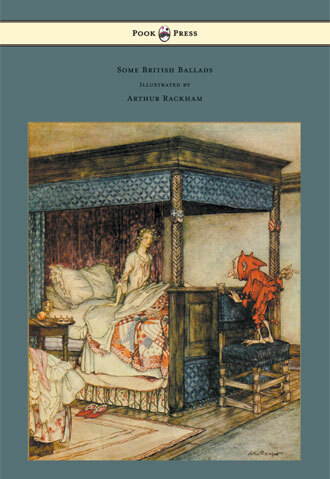 He is perhaps best known for his contributions to Fairy Tales from Hans Christian Andersen (1914), but also illustrated books such as The Boy who Knew what the Birds Said and Dream Boats and Other Stories. 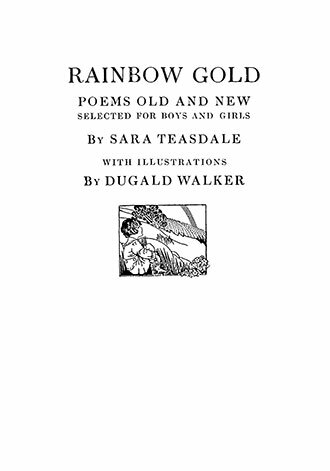 Sara Teasdale (1884 – 1933) was an American lyric poet. 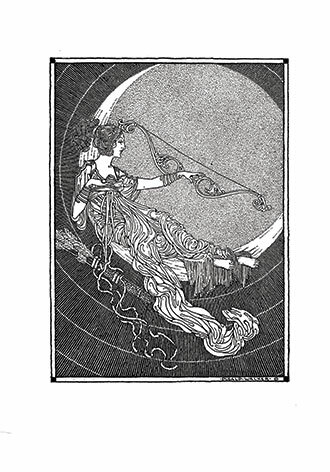 She was inducted into the St. Louis Walk of Fame in 1994. 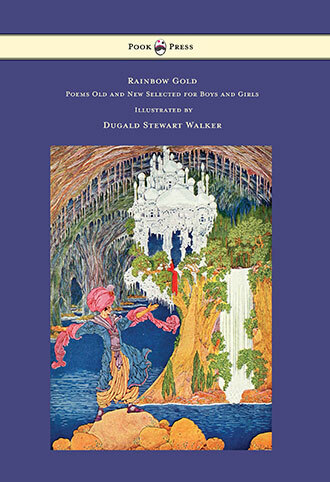 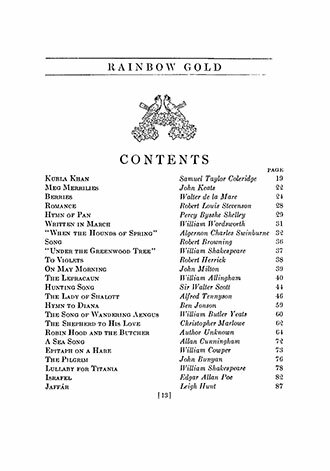 The poems included in this book: Kubla Khan, Meg Merrilies, Berries, Romance, Hymn of Pan, Written in March, When the Hounds of Spring, Song, Under the Greenwood Tree, To Violets, On May Morning, The Lepracaun, Hunting Song, The Lady of Shalott, Hymn to Diana, and many more. 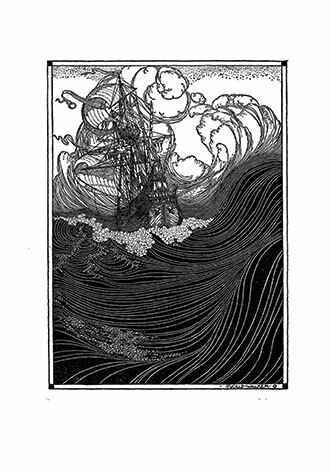 With works such as ‘Rainbow Gold – Poems Old and New’, Pook Press celebrates the great Golden Age of Illustration in children’s literature – a period of unparalleled excellence in book illustration from the 1880s to the 1930s.